To complete my posts on City Center is the stunning Residences at Mandarin Oriental. This is a stunning building that blends luxury resort services with luxury residential living. You couldn’t ask for a more premiere Las Vegas address! 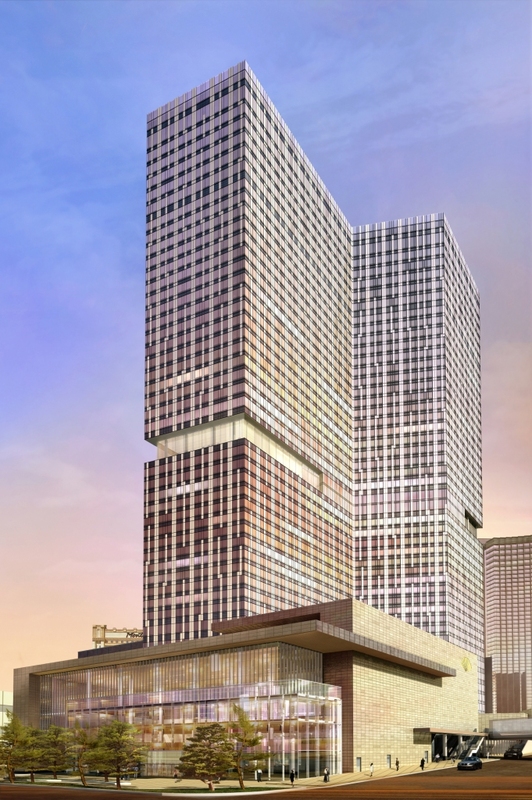 The Mandarin Oriental will house 227 residences atop a 400 room hotel in the amazing City Center project. There are two distinct floor plan collections; The Luxury Collection and the Penthouse Collection. The Luxury Collection occupies floors 24-40 and consists of one bedrooms, one and two bedroom plus den. There are 11 floor plans that range from 1,100 sq ft to 1,700 sq ft. These units have a wonderful Asian influenced design available in three different themes. Ceilings are 10′ high with operable windows to incorporate the fantastic views. Solid Core Entry doors with designer hardware, detailed base molding, stackable front loading washers/dryers, elegant stained hardwood flooring, and pre-wire are included in each unit. The Penthouse Collection is premiere residence in Mandarin Oriental. These units are for owners interested in putting their own touches into their Las Vegas address. The units are delivered unfinished or “Grey Shell” and occupy the top 6 floors of the building. All surfaces, including ceilings, are delivered unfinished. Interior walls, appliances and fixtures are supplied only for the purpose of code compliance. There are 7 spacious floor plans with incredible views, almost 11′ ceilings, pre-wire for state of the art television, telephone, computer Ethernet and CAT 5. Select residences are equipped with private elevators. I went down to the City Center Sales Pavilion recently and all I have to say is WOW. What an impressive project for our city! There are many different projects within City Center, but I am going to post about each project separately so I can outline the benefits the amenities of each tower. But first, I’d like to talk about City Center. 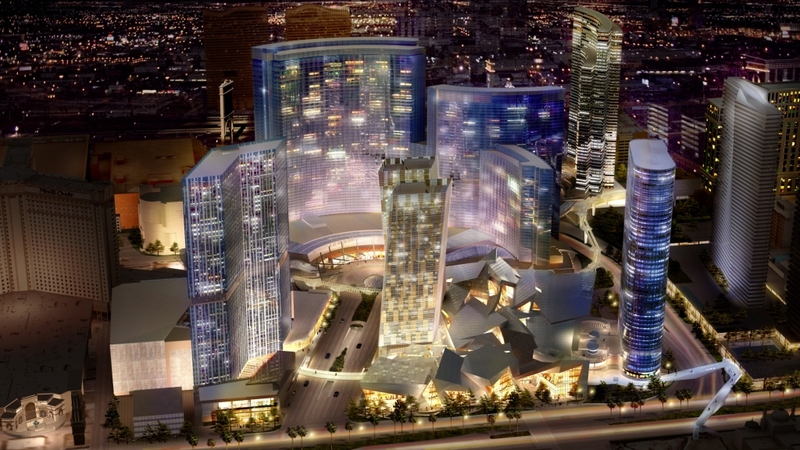 The MGM MIRAGE is the developer behind this massive, $7.8 Billion project on the 76 acres in between the Bellagio and the Monte Carlo. It’s a collection of top architects and designers in the world. I would say the common theme in City Center is diversity. 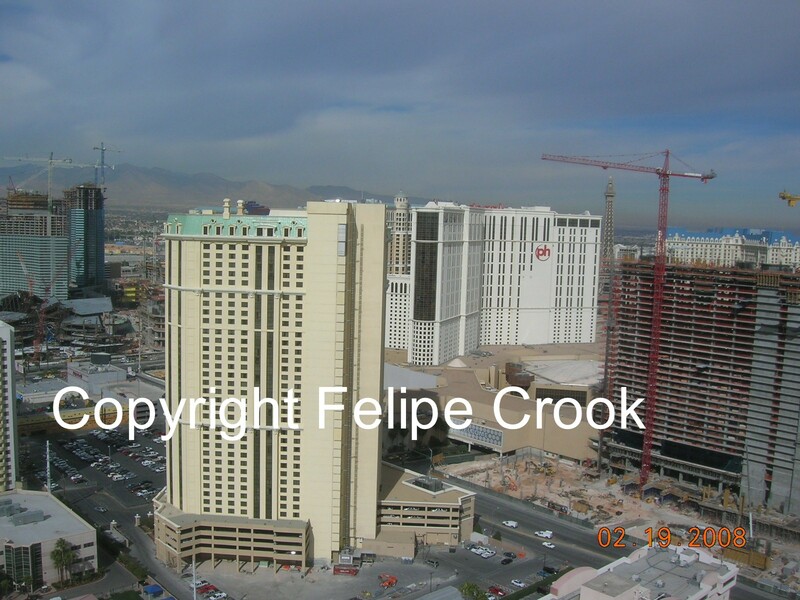 MGM MIRAGE is known for being an extremely diverse employer and they remained true to their ideals in this project. 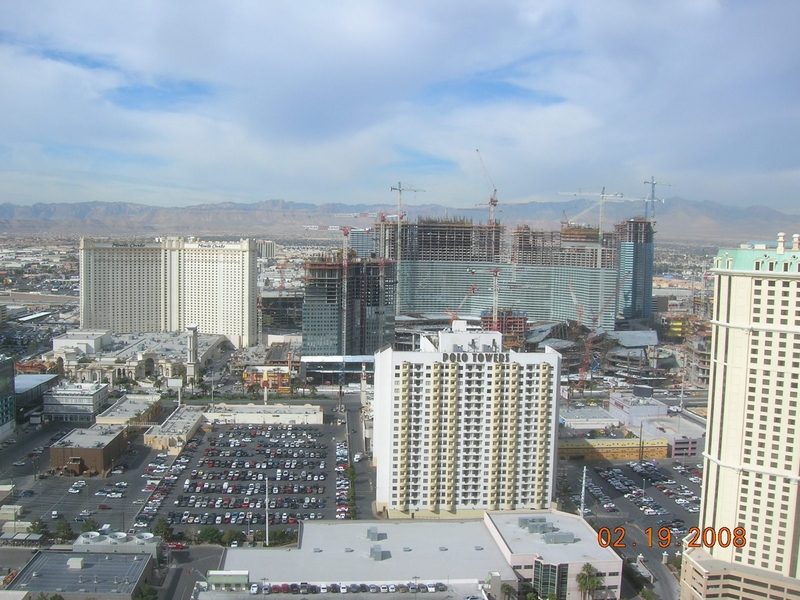 From floor plans and sightlines to colors and materials, the residences were created as “…unique work of art, with the appeal of a collectible as well as its own sense of comfort.” In fact, it will house the first major permanent collection of art in Las Vegas integrated into public spaces, a new Cirque du Soleil show, and the most sought after retail brands. Above City Center’s towers, soars the 4,000 room resort casino with facades of glass which engages the lights of our city. The overall design is quite fascinating. There are curves, angles, and atypical shapes that catch your eye and make you want to see it completed faster so you can experience it. As I am trying to be more “Green” this year, I was pleasantly surprised to see the City Center is LEED(Leadership in Energy and Environmental Design) certified by the U.S. Green Building Council. They have consciously developed a design with water savings, energy efficiency, material selection, and indoor environmental air quality as a primary objective without sacrificing style and aesthetics. 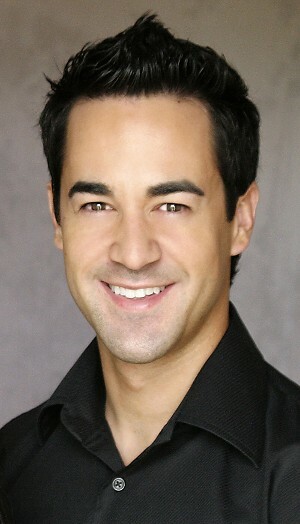 Felipe@felipecrook.com or call me directly at 702-683-2169. 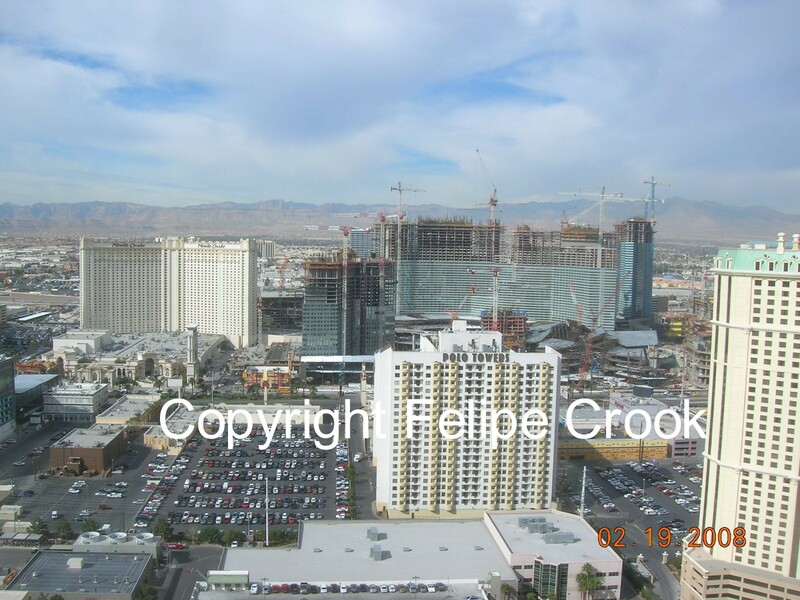 This is a project of the future, get your piece of Las Vegas now.